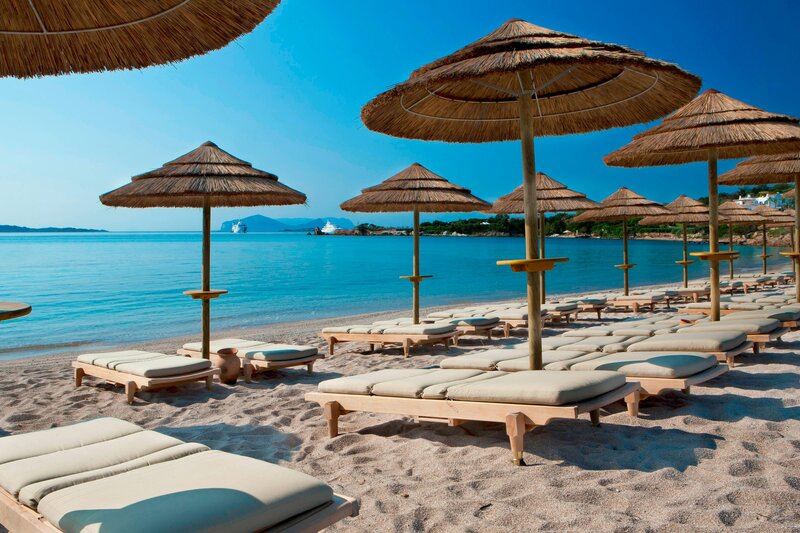 THE LEADING BEACH RESORT & SPA IN THE MEDITERRANEAN. 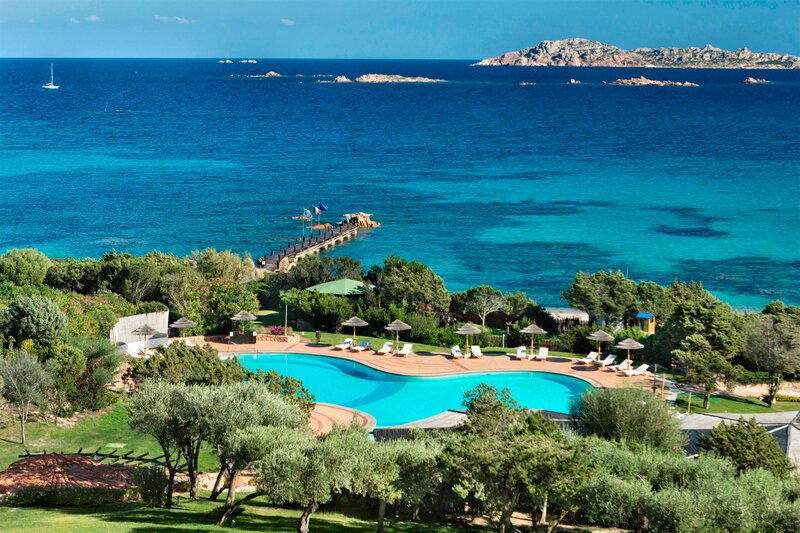 Nestled along Sardinia&apos;s fabled Costa Smeralda, the alluring Hotel Romazzino is situated on a lush hillside overlooking a sheltered bay with sandy beaches. Opulent gardens scented with wildflowers flow to the pristine shores of the Mediterranean. 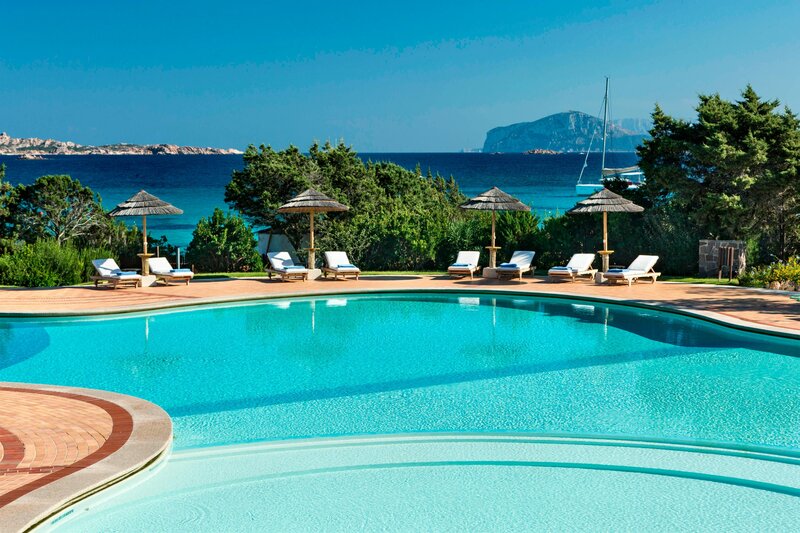 With an inviting translucent sea famed for its sailing and diving, the Hotel Romazzino is renowned for its endless water play and immaculate beaches. The inspired regional cuisine of Romazzino Restaurant and Romazzino Barbecue Restaurant adds to the hotel&apos;s international acclaim. Pristine views of the Mediterranean Sea or lush gardens are enjoyed from a private balcony or terrace in each of the 94 guest rooms and suites, all passionately restored with handmade tiles and exotic wood furnishings to preserve an authentic Sardinian charm. 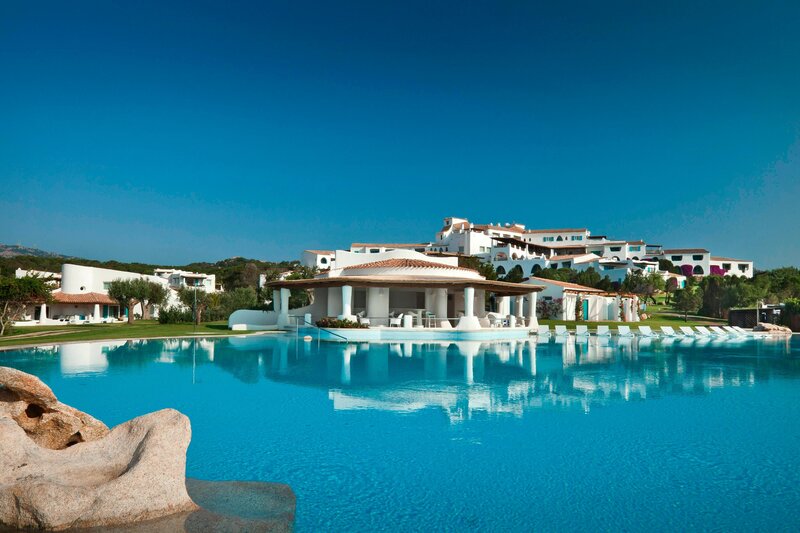 Discover the extraordinary 3-bedroom villas at Hotel Romazzino - Smeralda, Turchese, Giada, Zaffiro, Acquamarina and Ambra. 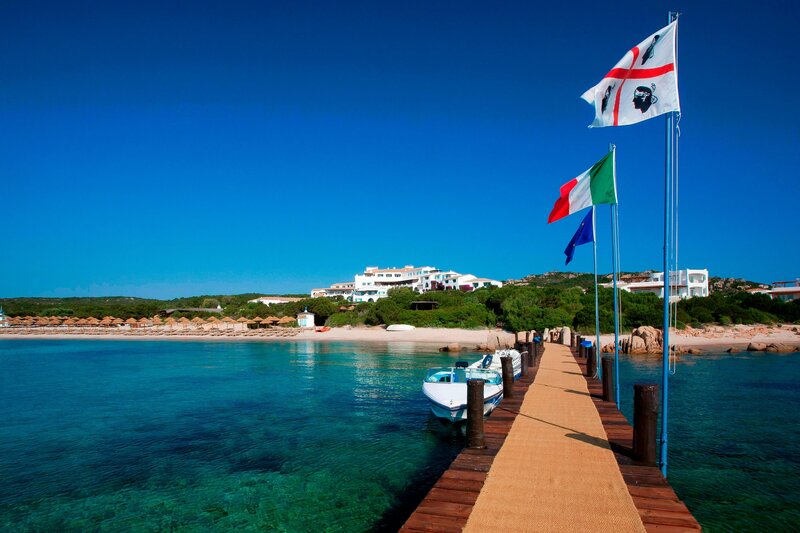 The perfect place to relax in the peace and beauty of the Costa Smeralda or enjoy the thrill of the many water sports. World-class dining complements the alluring destination with distinct dining venues offering sophisticated Mediterranean flavours. Let yourself be seduced by the taste of seafood at the Hotel Romazzino. Indulge in the typical Mediterranean flavours and in the freshness of local ingredients carefully selected by our chef. Unwind and relax on the chaise lounges by the two pools.